These good informational interview questions provide you with clear insight into the job or career you are investigating. This type of interview also provides a possible networking opportunity that can be used to help your job search. The questions are designed to find out what you need to know to make a well-informed career decision. What is the purpose of an informational interview? An informational interview will give you an excellent understanding of the job on which to base any career decisions you make. It also helps you to establish good contacts for your job search. Choose about 10 to 15 questions from this list of informational interview questions to find out about the career field you are researching. How did you get into this particular job? What qualifications and experience did you need? What skills and abilities are necessary for performing this work? What are the main responsibilities in this job? What are the things you like and dislike most about the job? What have you found to be the biggest challenges in your work? What have you found to be the most significant rewards in this work? What are the necessary requirements for an entry-level position in this industry? What are the career path options in this industry/organization? What opportunities have you had in this job? Where do you think this industry/career is going in the next couple of years? Which companies do you consider the to be the leaders in this field? What do you think are the available career options for someone with my qualifications in this industry? What advice would you give to someone looking for a similar job in this industry? Is there anything else I should know about this work? Who else would you recommend I go and talk to? May I contact you again if I need further advice? Would you mind taking a quick look at my resume and giving me some feedback? End by thanking the person and stating that you will let them know how things turn out. Follow up with a professional email or thank you letter. Ask for a business card so that you can address your thank you letter or e-mail properly. After the informational interview send a thank-you note within twenty-four hours to everyone who helped you and talked with you. 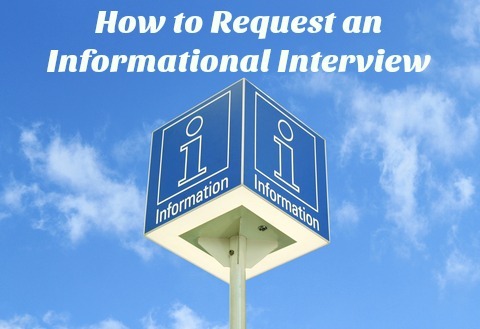 Follow up periodically with the people you have conducted an information interview with to keep up the contact. These contacts can provide a useful support network throughout your career. Thank you for talking with me yesterday and taking the time to answer all my questions. I found it very helpful and I now have a much clearer understanding of this field of work. I know you have a busy schedule and I appreciate the time you spent with me. How do you ask for an informational interview? Customize this sample informational interview letter to ask for the meeting. Understand the job skills required for different positions. Select the most appropriate informational interview questions to ask and make an easy-to-use list for your meeting. 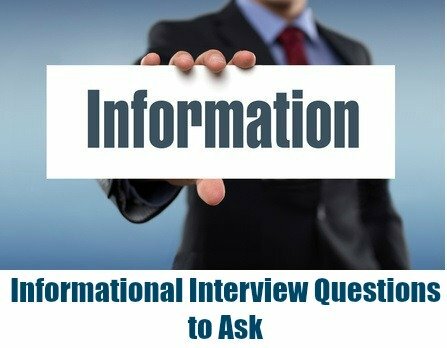 Go to the informational interview guide to find out more about setting up and conducting the information interview. Planning a list of good informational interview questions ensures that you get the answers you need to make the right career decision.